This news page starts with 2015. For older news, go to this page. To search through posts from 2015 forward go to this site. On November 10, 2018, the Winchester Livery was the site of a large celebration for our four-footed friends at Animal Harbor. Attendees at the annual fundraiser, Party for Paws, were entertained with a slide-show by Kevin Brisln featuring pets, past and present, cats and kittens, dogs and puppies, adopters with their new friends, as well as the hardworking staff and volunteers. The festivities included dinner by SIlver Spoon Catering, a silent auction, and awards presented to members of Franklin County who have given time and donations to support the mission of the Harbor which is to provide care and shelter, and find loving homes for abused, abandoned, and stray pets; to prevent cruelty to animals; and to provide education about animal welfare to the citizens of Franklin County. The Humanitarian of the Year award was presented to Pat Dover, of Sewanee. The Harbor Hero awards went to Linda Winn, Margaret Wicken, and Paula Reed of Winchester, and to Leonard King of Sewanee. Susan Rupert, president of Animal Harbor, said, “The dedication and support from these five awardees covered a wide range of activities and provided much needed funding and resources for the pets awaiting adoption. Thanks to everyone who helped make the Party for Paws a success by donating auction items, and supporting Animal Harbor each day of the year. Awards were presented during Animal Harbor’s recent Party for Paws fundraiser. From left, Pat Dover of Sewanee receives the Humanitarian of the Year Award. 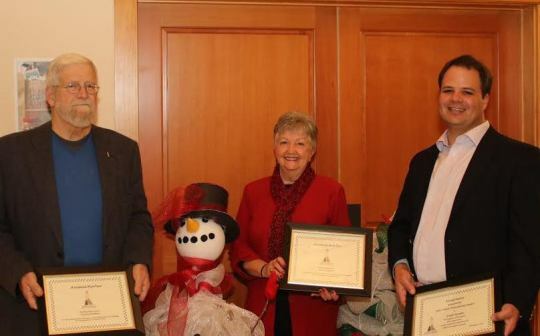 Harbor Hero awards were presented to volunteers, from left, Paula Reed, Margaret Wicken and Leonard King. Harbor Hero award recipient Linda Winn is not pictured. President Susan Rupert recognizes the staff and board members who were present. Local animal shelter Animal Harbor is not only making sure that homeless pets get into good homes, the staff is working to make sure that each dog or cat is at its best when adopted. Helping to socialize the animals to prepare them for a successful adoption are Animal Harbor director Stephanie Wilson and her staff. Wilson, who recently stepped into the role of executive director, said the socialization programs were a way to continue the success of the shelter and its work with homeless pets. “When I first came in, it was obvious that Animal Harbor has a very thorough and rich history,” she said. Wilson said the programs allow people to come by, at their convenience, to help with cats, dogs or with both. “A lot of shelters have socialization programs and we needed one that was a true program that people could count on to come at their convenience and spend time basically cuddling with a cat, walking a dog or even giving one a bath,” said Wilson. Created by Wilson, the programs include Playtime with Pups, Cuddles with Cats and Paws to Read. The program takes place from 3-5 p.m. each Friday at the Harbor. The public is invited to visit the shelter and become a dog walker/socializer. Benefits include keeping the dogs calm, happy and content through exercising, which improves the animals’ behavioral, mental, emotional health and overall well-being, in addition to increasing their comfort level around people. Wilson added this program increases the shelter dogs’ chances for adoption because they are more relaxed, happy and calm. Animal Harbor, in partnership with the Franklin County Library and Wendy’s, recently announced the Paws to Read program that takes place from 2-4 p.m. each Saturday. Wilson said children ages 2-18 who are able to read at any level are invited to the shelter to read to adoptable cats and dogs in the shelter’s adoption rooms. Wilson said the program helps children improve their reading skills, helps to socialize adoptable pets and helps to develop stronger human-animal bonds for both animals and people. The public is invited to visit from 1-3 p.m. each Wednesday to help socialize the shelter’s adoptable cats and kittens. Wilson said there has been tremendous support for these programs. “The public is really supportive of what we do here at the Harbor. When there is an event or a drive, we are greatly supported. All ages and demographics have come in and took advantage of programs,” she said. Wilson said she hopes to continue welcoming volunteers and the public into the Harbor to help socialize the animals. She also hopes to one day be able to offer more education to the public about how they can help their four-legged friends. Wilson said she and her staff make a concerted effort to find the animals they rescue new homes as quickly as possible. The single most important thing people can do to help prevent animal overpopulation in any shelter is to have pets spayed or neutered. For more information on Animal Harbor, call 962- 4472. The shelter is located at 56 Nor Nan Road in Winchester. Executive Director Stephanie Wilson with shelter resident Willow. Willow has tested positive for heart-worms and is undergoing medical treatment. All of the animals adopted from Animal Harbor are spayed or neutered, microchipped, current on shots. 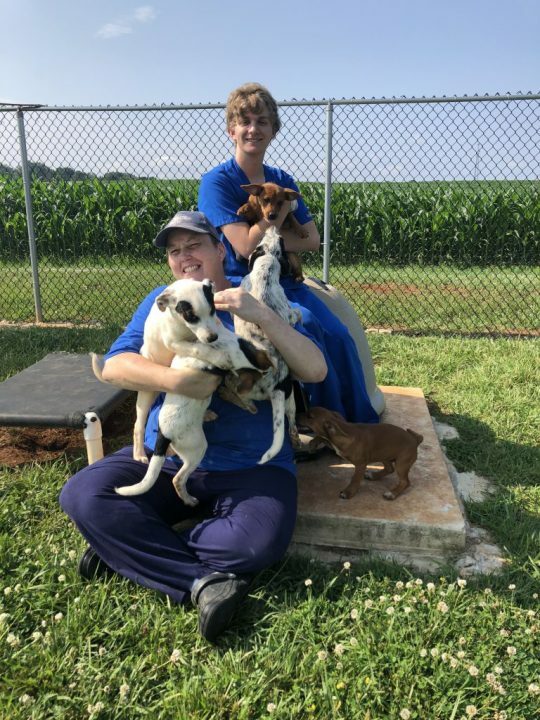 Kennel technicians Sheila and Bryan share some love with some of the shelter’s adoptable puppies. Every spring, shelters all over the country are inundated with litters of kittens. This is often their most overwhelming time of year. Cat mating season is from January through February, and about two months later, kittens are born. The season peaks in late spring/early summer. Each mother cat typically bears three to five kittens in a litter. Many items are on Animal Harbor’s wish list. In addition to the list items, the effort needs bedding, cat litter, puppy pads, carriers, mineral oil, heating pads, toys and treats. Kitten food, both wet and dry, is always needed; most food donations are for adult cats. Contact Animal Harbor by calling 931-962-4472 or email info@animalharbor.org . The mailing address is: Animal Harbor, P.O. Box 187, Winchester, TN, 37398. The shelter is located at 56 Non-Nan Road in Decherd. Hours the shelter is open to the public are Tuesday through Friday from noon to 5 p.m. and Saturdays from 10 a.m. to 4 p.m. Consider fostering a pregnant mother cat from Animal Harbor. Simply contact Animal Harbor and let them know your level of experience with cats by calling 931-962-4472 or email info@animalharbor.org. The shelter is located at 56 Nor-Nan Road in Decherd. 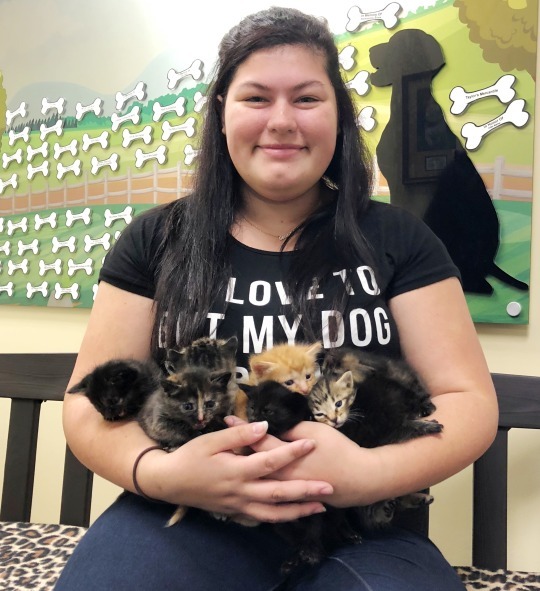 Hours are Tuesday through Friday from noon to 5 p.m. and Saturdays from 10 a.m. to 4 p.m. Pictured is volunteer Sarah having fun while socializing the kittens at Animal Harbor. Animal Harbor’s dog wing improvement project has recently been completed. The project, funded by a generous grant from PetSmart, was needed to improve the insulation in the dog kennel wing of the building. Prince Insulation performed the work. The previous fiberglass insulation had a minimal insulating value and was just enough to prevent condensation. A volunteer appreciation reception will be held on Tuesday from noon to 4 p.m. at the shelter for animal helpers who are urged to visit the “appreciation station” for lemonade and cookies and spend time with other wonderful volunteers. For anyone interested in volunteering, please call the shelter at 931-962-4472. Animal Harbor is located at 56 Nor-Nan Road in Winchester. Shelter hours are Tuesday through Friday from noon to 5 p.m. and Saturday from 10 a.m. to 4 p.m. The mailing address is: Animal Harbor, PO Box 187, Winchester, TN 37398. 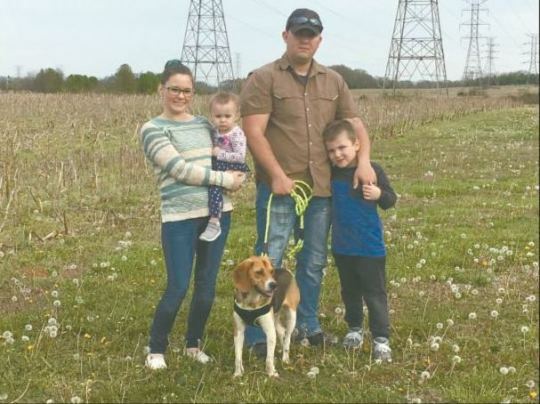 A story that started out with a dog being shot in the back of the head has a happy ending with Officer James Wrisner and his family adopting Magnum. Here, the Wrisners show off their newest family member. Sharing in the moment are, from left, Shannon, Kinzley, Magnum, James, and Houston Wrisner. Magnum, a beagle who was shot in the back of the head on Shadowbrook Road but managed to survive, has found a new home with the officer who helped rescue him. After a horrific experience, the dog is going to live with Winchester Officer James Wisner and his family. Stephanie Wilson, Animal Harbor director of development, said that Magnum finding a new home is the ultimate reward for him, and it is something the animal shelter would like to see for all of its inhabitants. “We are thrilled for this outcome for Magnum and the Wrisners,” Wilson said. She said this was the perfect outcome for this case because it brought awareness to animal cruelty, and Magnum is going to a loving home. “This is always the goal for Animal Harbor — to place our animals in caring homes,” Wilson said. Animal Harbor is pleased to announce the promotion of Stephanie Wilson from Director of Development to the position ofExecutive Director of Animal Harbor. She has been with Animal Harbor since November, 2017. 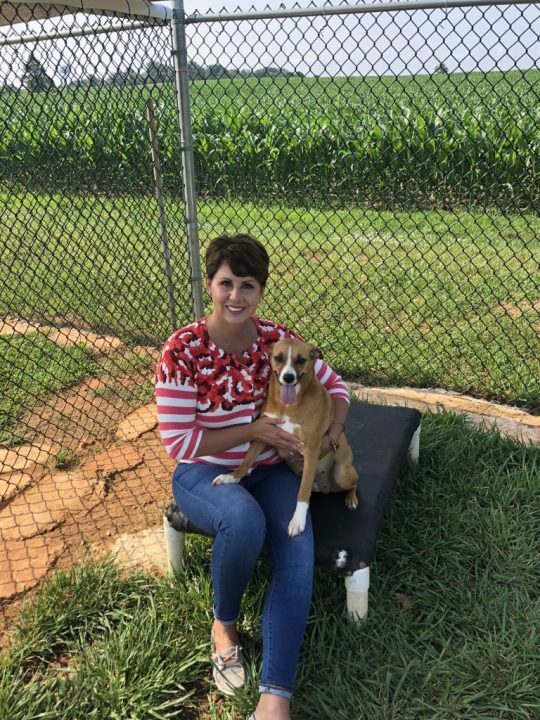 As she reaches out to individuals and businesses in the Franklin County area, she has sought to make the county aware of the wealth of services and new programs that are being developed at the shelter. Coffee with Cats and Pastries with Pups have become a hit on Wednesday and Friday afternoons. In partnership with the Franklin County Library and Wendy’s, the Paws to Read program on Saturdays is half work and half magic. 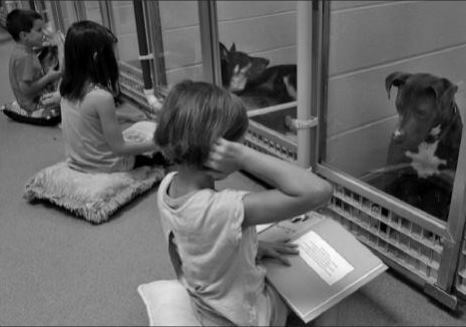 Children practice their reading skills while the animals love the one-on-one relationship. Stephanie has many new projects in mind for the coming months. Animal Harbor, in partnership with the Franklin County Library, is proud to announce a new reading program in Franklin County. Paws to Read will be launched on March 2, in collaboration with Read across America Day. The program is intended to help children improve their reading skills, help socialize adoptable pets, and develop stronger human-animal bonds for both animals and people. It’s easy to get involved. Simply visit the Franklin County Library and choose a book. The library will then extend a certificate on behalf of Wendy’s. After reading to an animal at Animal Harbor, return your book to the library and get your certificate stamped. Collect four stamps and then enjoy a free frosty treat from the Winchester Wendy’s. The Paws to Read program is open every Saturday from 2-4 p.m. at Animal Harbor beginning on March 3. Large groups or clubs interested in participating in Paws to Read may call the shelter directly to set up an alternate time at 931-962-4472. Oh, and the animals enjoy it, too. PawsToRead.com and ‘Paws to Read Month’ were created to connect parents educators, animal lovers, and child advocates to city, regional, state, and national programs that use shelter cats or trained therapy dogs to improve the literacy skills of children. Paws to Read also provides tips, activities, and recommended reading lists to help schools and libraries celebrate ‘Paws to Read Month’ in March and all year long. Animal Harbor has received a grant from the Bissell Pet Foundation for our Low-Income Spay/Neuter program. The Foundation has given Animal Harbor a wonderful opportunity to make 2018 a year that will improve the lives of companion animals and the lives of the citizens of Franklin County. The ability to spay or neuter approximately 110 to 125 additional cats and dogs through our program will prevent the birth of hundreds of puppies and kittens that in turn could produce hundreds of litters over the next decade. Spayed and neutered pets are healthier, and the surrounding neighborhoods have fewer stray and abandoned animals living lives of starvation and illness. 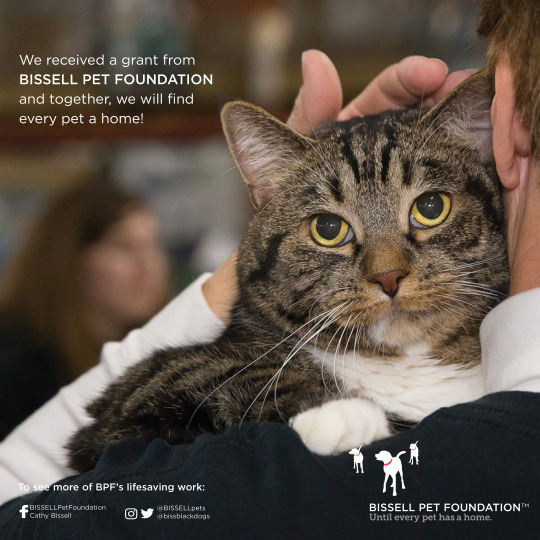 We at Animal Harbor thank Bissell for their continuing generosity and dedication to improving the lives of pets all across the United States, and for helping us fulfill our motto: Saving Lives, Four Paws at a Time! For more information about our Low-Income Spay/Neuter Program, click here. The Fall Party for Paws, held on November 11th, 2017, hosted a standout crowd of animal lovers. The silent auction saw items flying off the tables, and the food by Old Mill Manor Caterers proved to be a culinary experience that left everyone wanting more. The highlight of the evening was the presentation of the Jean Patton Humanitarian Award to Joseph Sumpter, and the recognition of Sue Hartman, Dianna Ogden, and Charley Watkins as Harbor Heroes. All of these kind people, each in their own way gave time, money, or special skills to help the mission of Animal Harbor. 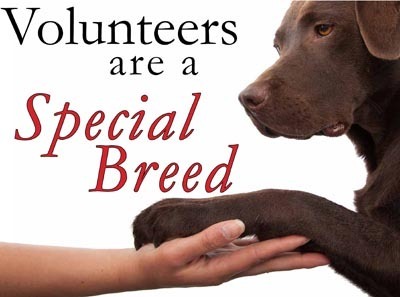 Our quest to treat and find loving homes for abandoned companion animals, reduce pet overpopulation, and prevent cruelty to animals while providing community education on animal welfare can succeed only when many people join hands in the effort. Thank you Joseph, Sue, Dianna, and Charley. Left to right: Charley Watkins, Dianna Ogden, and Joseph Sumpter. Not pictured: Sue Hartman. Stephanie Wilson has been selected as Animal Harbor’s new Director of Development. Wilson is a native of New Hampshire, but grew up in Florida and most recently lived in the Atlanta, Georgia area before relocating to Winchester in May 2017 with her husband, Cliff who is the chief operating officer at Southern Tennessee Regional Health System. Wilson comes from an extensive background that includes over 15 years working in both corporate and small business management, business development, and event planning. 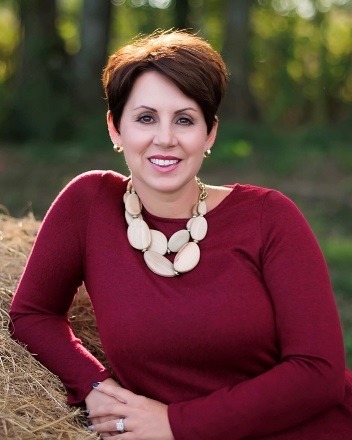 She has also worked with Main Street programs, welcome centers, and the Chamber of Commerce as a fundraiser and event planner/coordinator in areas where she has previously resided. Possessing a passion for everything she does, Willson says she gets the most enjoyment from being an active member of a vibrant community.“I immediately fell in love with Animal Harbor after spending some time at the shelter and meeting the dedicated people that make it such a great organization. 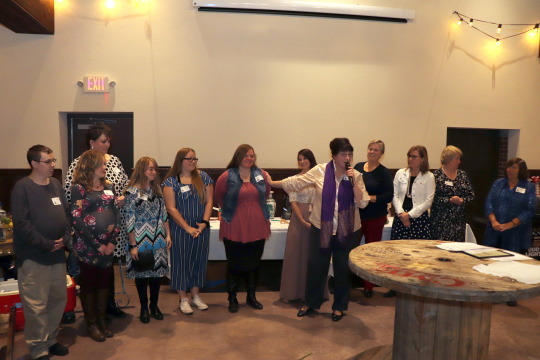 I am honored to have this opportunity to work with Animal Harbor and represent the outstanding work it does within Franklin County,” she said. Stephanie has three daughters and a stepson whom she says keep her young at heart. She enjoys traveling, lake life, shopping, and supporting the local community.